Dueling Anagrams continue to be brought to you by the Delusional Gang. 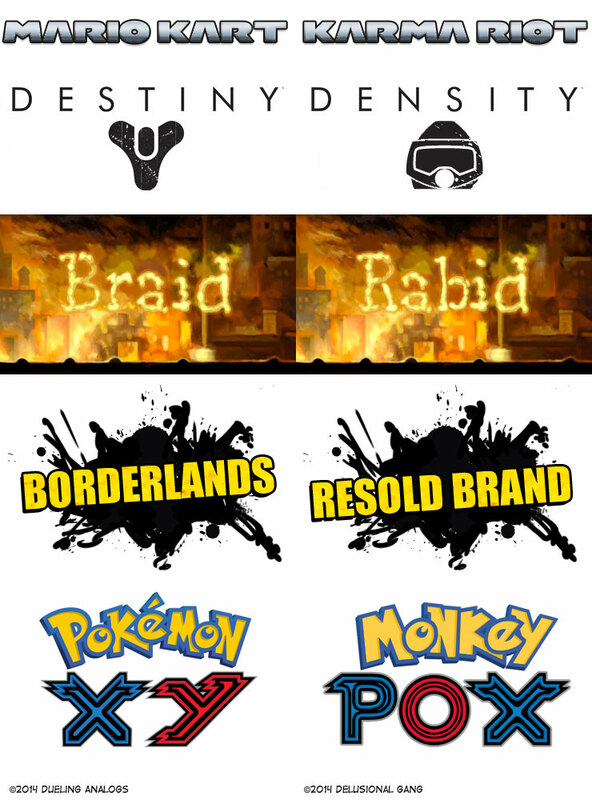 You’ve got to admit that the Destiny/Density anagram is pretty clever. Yesterday I shared the original Dueling Anagrams on the Facebook page. Today I decided that I would get a few more logos together and create a new installment. And here it is.